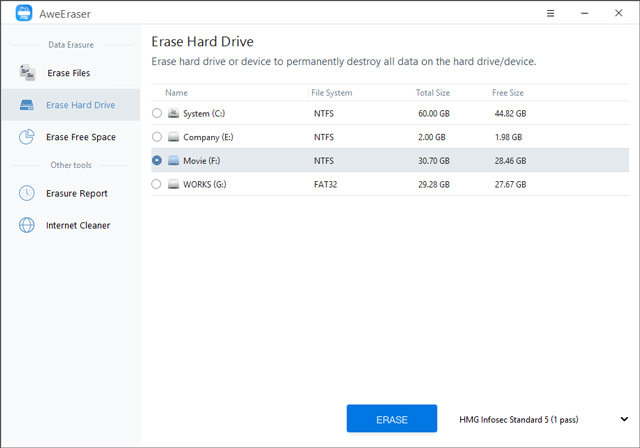 As a comprehensive data erasure software, AweEraser allows you to securely and permanently erase data from HDD, SSD, USB flash drive, memory card, digital device. It not only shreds targeted files, but it also can erase hard drive, wipe unused disk space, clean up internet histories, etc. Before you dispose your private computer or device, AweEraser is the right tool for you to permanently erase private data to avoid data recovery. Data recovery software can easily recover deleted, formatted or hidden files on any hard drive/device. So other people can easily get your private data when they get your computer or device. Why not permanently destroy your data before you donate or selling your computer? AweEraser offers certified data erasure solutions to help you permanently delete data from hard drive or external storage media device. It will securely erase the targeted data and overwrite the disk space to avoid data recovery. It gives you 4 tools to remove your data before you sell, donate or abandon your computer. 1. 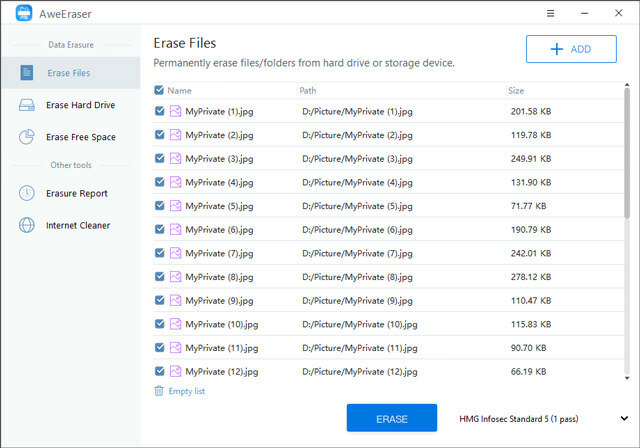 Erase Files – this option allows you to permanently erase files/folders from hard drive or storage media device. 2. Erase Hard Drive – if you want to erase all data on a hard drive, this is the right solution. It will erase the entire hard drive/device to permanently erase all data information on the hard drive/device. 3. 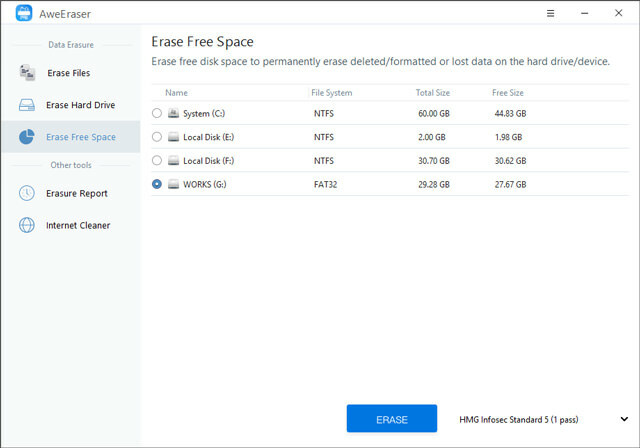 Erase Free Space – erase unused disk space to permanently wipe previously deleted/formatted data on the hard drive/device without affecting the existing data. 4. Internet Cleaner – this tool will help you clean up internet browsers’ histories, password, cookies, caches, logs, etc. Once your data is erased by AweEraser, the erased data is lost forever, can’t be recovered by any data recovery software or manual data recovery service. And it will not affect the service life of your computer or device. Thanks to Frank from Magoshare support we are giving away AweEraser 2.0 Free for 72 hours. Just download and use the license key shown below.